Why not become a Sierra Club BC volunteer? Contact us with your ideas – we’d love to hear from you! Please fill out this volunteer questionnaire so we can get to know a little bit about you. If you have questions, you can also email our volunteer coordinator. 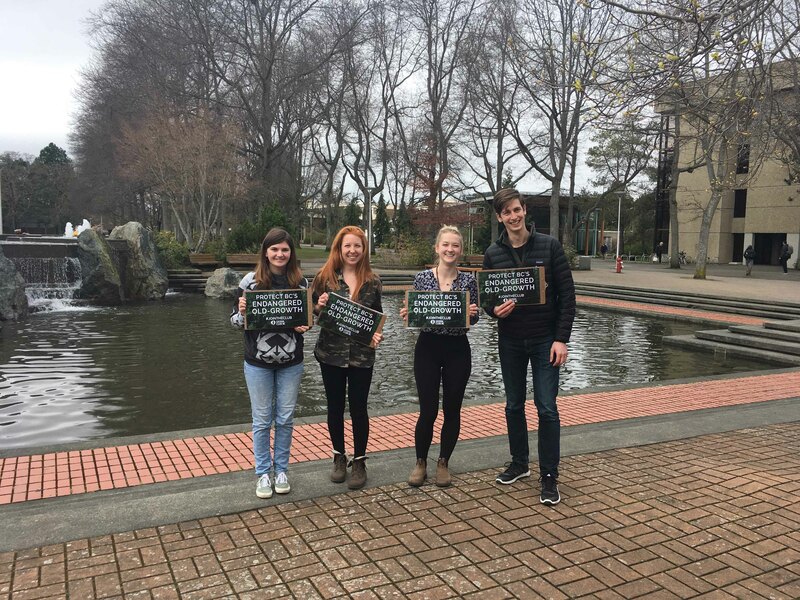 Alex, Kara, Karli and Will canvas at the University of Victoria to protect ancient forests! 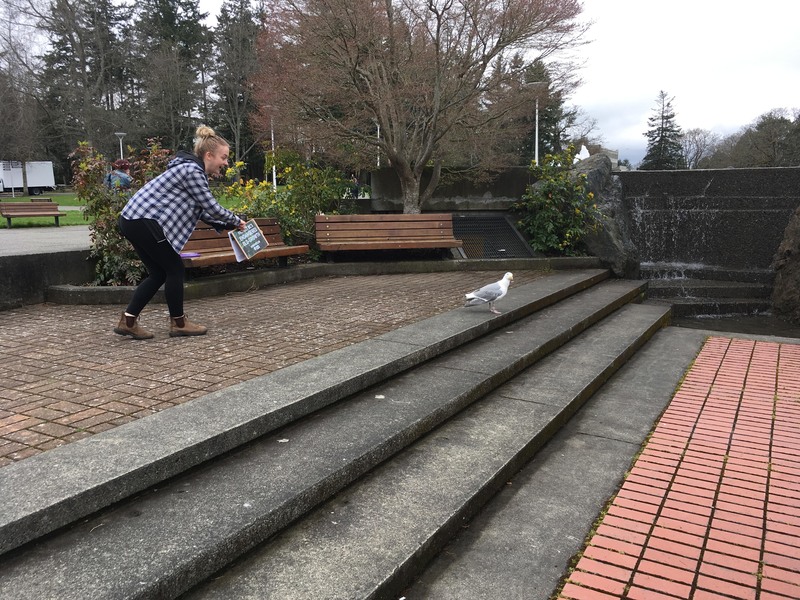 Are you outside of Victoria or Vancouver but still want to volunteer? Well guess what! We need your help spreading the word across BC, and we’ve created a toolkit to help you get started! Right now, we’re focusing on our forests campaign and getting people to take action to protect BC’s endangered old-growth rainforests. We are engaging British Columbians to send letters to BC Forests Minister Doug Donaldson, calling on him to enact a moratorium on old-growth logging in critical hotspots like the Central Walbran. Download our brief Toolkit for Defending BC’s Old-Growth so you can join our campaign and get started right away! Inside the toolkit, you’ll find step-by-step instructions, and links to all the documents you’ll need to start your own successful campaign in your community. Our awesome volunteer Karli trying to find some new recruits!